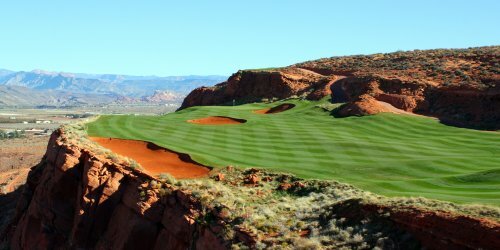 This page details all the Homes On the Golf Course in St George Utah or in the Surrounding Communities and Areas. Please note that not every Realtor when they list the home will have been mindful to check the box that says it is on the golf course. However, most should and understand that it is one of the main features and therefore would have to really not be paying attention. This below map is self updating in real time. It IS THE MLS Alternate Search format, the back end of the ones that real estate agents use, so it is Real Time. You'll notice it is my old website search style put inside this site. So, if you like, this style of search to search the listings you can find it under Alternate Search in the menus on most pages. Happy searching/viewing the Homes on the Golf Course for our area!